Join us on ANZAC Day for a day of racing and reflection. 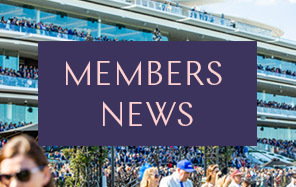 Flemington’s ANZAC Day race meeting is a beloved tradition, paying tribute to Australia’s courageous servicemen and women while highlighting the role racing played in the lives of those serving and the contribution of horses in war. 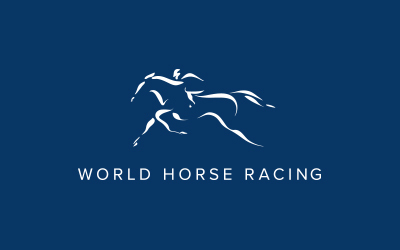 The eight-race program is highlighted by the running of the Listed VRC St. Leger (2800m), the classic staying test for three year olds which will be run for the 162nd time in 2019. Supporting this time-honoured race is the Listed ANZAC Day Stakes (1400m) for two-year-olds. A special set of ANZAC Day commemorative silks will be worn by jockeys riding horses allocated the top weight in each race. Heritage displays and activities around the racecourse will honour the day, including a ceremony taking place in the Mounting Yard at 2:55pm, ‘Handmade With Love’ poppy installation and the historic game of Two-up will be played on the Flemington Front Lawn, with all proceeds donated back to the RSL. Popularised amongst Australian troops in the First World War, this simple game of chance involves tossing pennies and betting on the outcome. The very first legal Two-up game was held at Flemington in 1991. Learn how to play on the Front Lawn from 12pm before before the first official 'spin' kicks off at 1pm. Remember those who have served and fallen through a ceremony taking place in the Mounting Yard at 2.55pm. The Moonee Valley Brass Band will perform the Last Post and Rouse and the Australian National Anthem. Current and returned servicemen and women are invited to participate in the formal proceedings. Take a step back through time when you visit The Light Horse & Field Artillery Museum display on the Front Lawn. The displays highlight the use of animals across all wars and commemorate these unsung heroes of service. What started in 2013 as a personal tribute to honour their fathers by two Australian women, Lynn Berry and Margaret Knight, has blossomed into a series of major installations of stunning handmade poppies in Australia and Europe. See this beautiful tribute when it visits Flemington Racecourse this ANZAC Day. Meet champions of the turf, California Memory and Rogan Josh, when they join us at Flemington for ANZAC Day raceday. See them parading in the Mounting Yard and hanging out in the horse stalls throughout the day. Keep the kids entertained with games from yesteryear. Hopscotch, four square, jump rope and marbles will create a nostalgic atmosphere. Family Lawn favourites are back including face-painters, balloon artists, pony rides and a soft play area for the little ones. 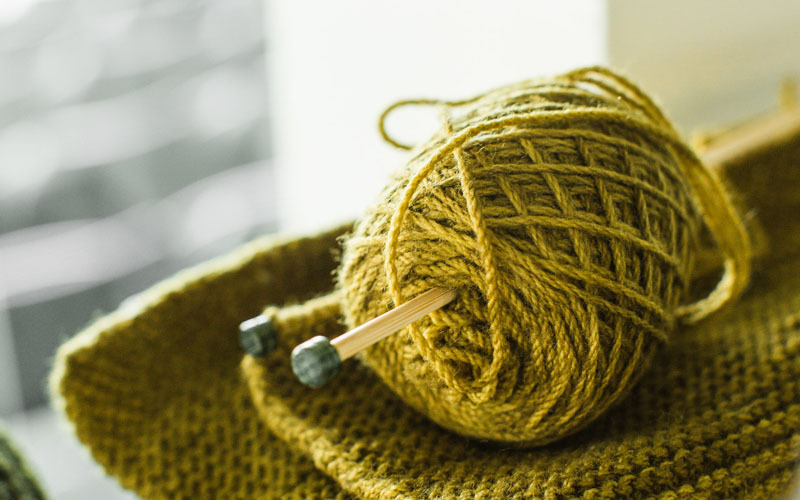 Located in The Atrium, this exhibition pays homage to tens of thousands of volunteers who knitted utilitarian and comfort garments for troops at the front and those recovering at home. In 1916, the Royal Melbourne Show introduced a Red Cross Division competition, where women competed by creating war comfort items. 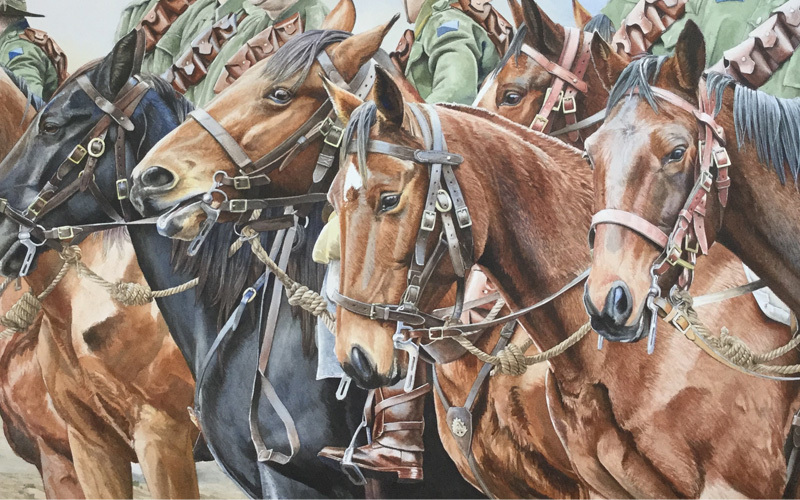 The Club Stand lobby will host Australian artist Jason Roberts as he paints his latest work commemorating ANZAC Day and the unique contribution of the Light Horse during WWI. Roberts’ work has been showcased in New York, Tokyo and London, with commissions by the Sultan of Oman and the Maharaja of Jodphur.